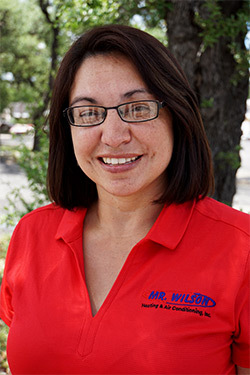 Mr. Wilson Heating & Air Conditioning is a family-owned business, founded in San Antonio and servicing the surrounding areas. 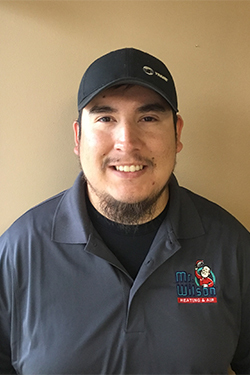 Mr. Wilson’s Heating & Air Conditioning was built on the principles of honesty and integrity, and we continue to grow and flourish because of our continued commitment to deliver dependable, high quality service at a fair price. We have over 3,000 satisfied customer’s and we are currently listed as an A+ “Accredited Business” with the Better Business Bureau. We service both residential and commercial customers, and we are the only place to call for complete system change outs, new installations, trouble shooting tough repairs, and regularly scheduled maintenance. Get peace of mind from experts your neighbors trust, and you will come to rely upon. Contact us today! Keeps us in check. Staying on top of our accounts receivable department, Tiersa is a veteran. Having worn many hats over the years, Tiersa can help with most every department and chances are you’ve spoken with her a time or two. As a mom or two very active boys in sports she lives on the futsal and soccer field on her time off. She loves the outdoors, traveling and gardening. 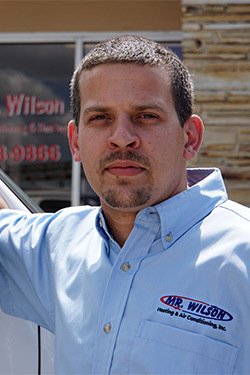 A charter member, Roland has been with Mr. Wilson almost as long as we’ve been in business. He is loved by many and works both in residential and commercial service. He is fun to be with so it is no surprise Fiesta is his favorite time of year. A husband, dad and grandfather, Roland loves being by the water and spending quality time with family. “Rock” as we call him since we have two Tim’s in the company. Although he is native to Texas, he recently made San Antonio his home to spend quality time with his son. 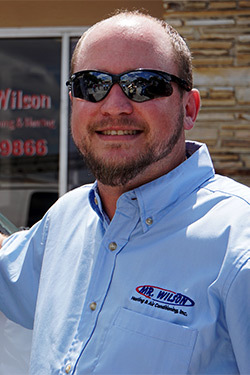 He is our “service maintenance master” and aims for peace of mind for every homeowner he meets. An ex-band member, Rock enjoys music, good comedy shows and spending time close to a beach. All of which is second to being a good dad. Native from the North, Jeff recently became a Texan. New to Texas but not to this industry. 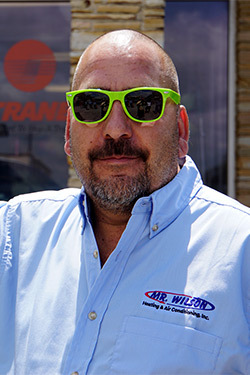 Jeff brings his many years of experience in AC repair service industry to our team. 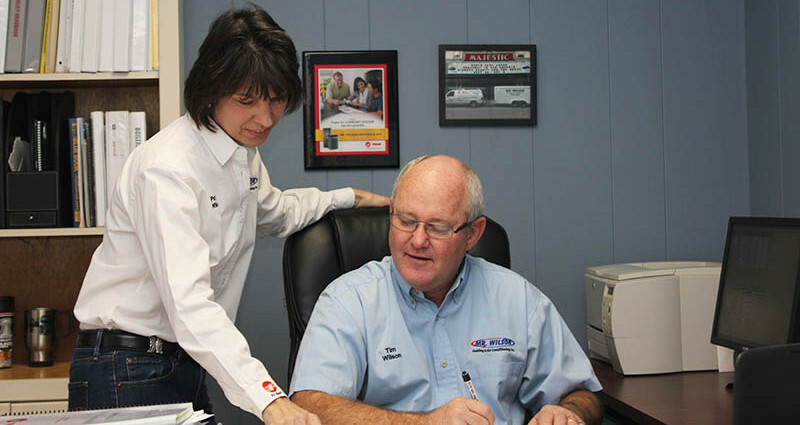 As they say “everything is big in Texas” so no job is too little for Jeff in both residential and commercial work. He and his wife love a DIY weekend project, spending time together with their two children and fishing . Shiloh started with Mr. Wilson from his high school mentoring program. As an apprentice he worked alongside our service technicians. But today he runs the computer technical side of our business. Shiloh has a special talent when it comes to problem solving Wi-Fi thermostats, our field dispatch system, icloud communication and any other IT issues. 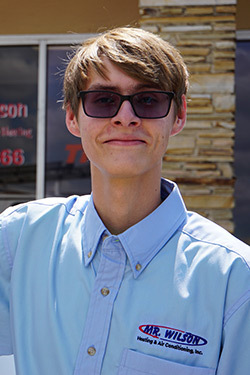 Shiloh currently attends college and loves to spend his spare time building computers and experimenting with new technology. Carlos has always had his hands in the industry working alongside his dad over the past 15 years. With a strong work ethic and deep faith foundation; Carlos enjoys putting others first. 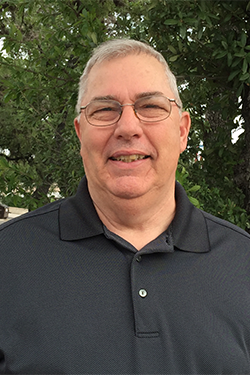 Born and raised in San Antonio he resides with his family, loves fishing, golfing and a good ole Sunday BBQ.